Conversations Before Crisis: The Importance of Advance Care Planning - Grace Ridge Retirement Community - Morganton, N.C. The recent passing of former first lady Barbara Bush has sparked conversations about end-of-life wishes and comfort care. In light of these timely discussions and recent National Healthcare Decisions Day (April 16), we talked with Life Enrichment Social Worker Charity Elliott about the importance of advance care planning. Part of your job is to care for Grace Ridge residents and families through the journey of life. How are they planning ahead? We have several residents who have planned for everything down to the outfit they would wear, the music they want played and the picture they would like used for their celebration of life service. The Grace Ridge team helps support them through that process. Once completed, most residents and families are relieved that it’s taken care of. Why is it important for people to talk about their wishes for end-of-life care? Too often, end-of-life care is never discussed, which puts ourselves and loved ones in vulnerable situations. If your wishes have never been discussed, that might result in care and treatment that you may not have wanted. Why is advance planning both smart and necessary? None of us are ever promised tomorrow. Everyone has a different vision of comfort, so to make our own personal end-of-life decisions and to have those wishes outlined and documented is a priceless gift. It’s not just the elderly or terminally ill who need to plan. At what age should people start thinking about planning? I personally have advance directives and a celebration of life planned for myself. It’s never too soon to start planning for end-of-life, just like we do other major events in our life. End-of-life is the most significant event to plan for. In your social worker role at Grace Ridge, what are some of the things you do to help residents and families with advance care planning? I offer support in creating a memorial service plan, direction and preparation of advance directives like living wills, health care power of attorney, medical orders for scope of treatment and do not resuscitate orders. If someone wanted to plan but didn’t know where to begin, what advice would you give? 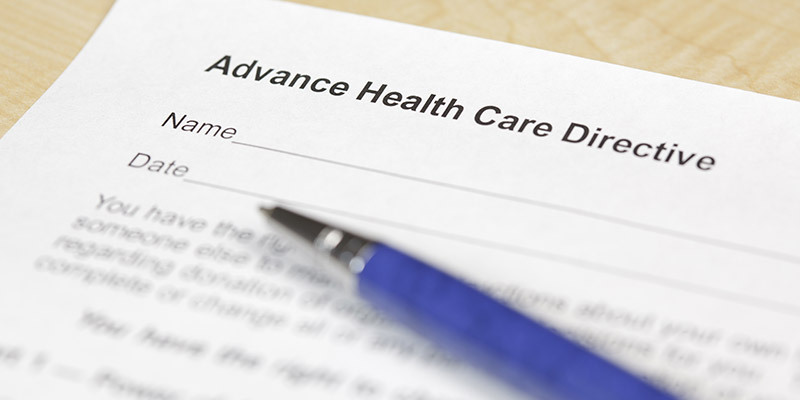 Review what each directive means and ask your family doctor questions and for guidance and understanding. Begin writing down some of the things that make you unique and comfortable. If someone doesn’t have a spouse or children, how can they make sure their end-of-life wishes are followed? In situations where there are no family members to delegate as a health care agent, you can consult with an attorney or a close family friend that you would feel comfortable with carrying out your wishes. What is the difference between the hospice and palliative care? I have experienced hospice and palliative care both personally and professionally. Palliative care is for someone needing support with a life-threatening illness in the home or facility. They are still seeking treatment for that diagnosis, so a palliative care team can provide symptom management and offer resources to help through the treatment. Hospice is more for concentrated comfort care for a life-threatening illness, as well as support for the patient and family. The two programs work well together in establishing relationships to provide the support and care necessary during a difficult time in one’s life.